Greater recognition of the true value of the arts will lead to improved funding, partnerships, growth and innovation opportunities, writes Ellis Jones senior consultant in social impact Elise Harper. In modern Australia, anxiety in the arts is as present as uncertainty in the economy. As government budgets are cut, arts and culture programs are scrutinised according to public need and political/electoral advantage. Philanthropists, traditionally great supporters of the arts, are presented with ever more socially motivated projects and, as their financial advisers become more sophisticated, the rise of social impact investing presents increasing opportunity to do good and make money. Meanwhile, academia and government are guiding the sector into measurement of cultural and economic value, to evaluate effectiveness of programs and initiatives. This movement presents great opportunity for arts organisations and the sector as a whole. Greater recognition of the true value of the arts – the sector’s social and economic benefits – will lead to improved funding, partnerships, growth and innovation opportunities. Impact measurement in arts often sits in two buckets: the cultural and economic value of the creative industries and the social value created by addressing a range of social needs. The output and outcomes of arts programs and initiatives can be planned and measured – they are well-defined activities with measurable changes for individuals and communities. For example, an arts program for people who suffer from mental illness may deliver 25 high quality sessions (output) and this may improve the mental wellbeing for 300 people within a certain time frame (outcome). But, if these people go on to live happy, healthy lives and give back to their community, how much can be attributed to the arts program? How much contribution to broader population benchmarks around mental wellbeing, resilience and social cohesion can be defined as the social impact of the arts program? Impact measurement is inherently multi-faceted; the effects of social, cultural, environmental and economic factors interlace to create improved individual and community outcomes. So, how do we measure the true social “value” of the arts? In answering this question, it’s important to consider some of the wider contributions of art, and it’s process, to our society. Art is an increasingly rare space where the issues, ideologies and ideas that affect our society can be explored and questioned safely, in abstraction. Private thoughts can become public reflections without (necessarily) seeping into the political sphere. Art can be a mirror, exposing some of our flaws and hidden scars. Art can show us the human outcomes of our politics, laws and social structures; the stories, emotions and personal decisions. Art can shape narratives and shift norms – helping us to bring nuance to debate in mainstream media and around dinner tables. Art can connect people across status and geography, and send shock waves that reverberate across generations. Frida Kahlo revealed, and continues to influence, the complexity of female experience, and helped to define national and indigenous identity in Mexico. Ai Wei Wei continues to challenge the definition and bounds of personal and political freedom in modern China. In Australia today, artists are tackling issues like climate change, refugee rights, indigenous identity and gender equality through increasingly accessible platforms. The subtle shaping and questioning of public sentiment and values is critical to progression as a modern society, but difficult to effectively measure. Stories can share deeply personal experiences, create culture and preserve history. Stories of heroes, outlaws, lessons learnt and triumphs won are ingrained in our culture and repeated throughout the stages of our personal growth. For Indigenous Australians in particular, stories provide critical information about land, animals, hunting, social mores and the spiritual world. They connect younger people to their lineage and create grounding for their evolving identities. They communicate values to live by and build empathy for the experience of others. Stories are shared, protected and given new life through film, theatre, paint, dance, song or metal. Stories create community value, and often deeply impact people’s lives. The process of engaging with or creating art is expressive, restorative, and reflective. It creates a space for analysis and observation of thoughts and emotions, and opens a channel for purposeful expression. 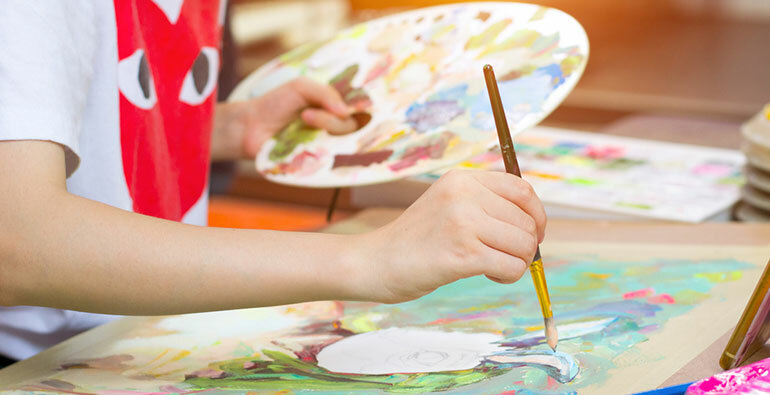 The benefit of the arts to mental wellbeing and social connection, especially among disadvantaged and at-risk people, is the subject of growing research. VicHealth – Victoria’s pioneer health promotion agency – is continuing to explore this space through innovative programs and grant rounds. In a world where commentators decry the narcissism of the “selfie generation”, and the dying of applied empathy, the practice of art has an interesting role to play in fostering a population of socially aware, healthy and resilient Australians. Building the capacity of the arts sector to measure, improve and communicate social outcomes and impact will continue to elevate the role of arts and create opportunities for innovation and cross-sector partnerships. But a nuanced approach is required. Relevant outcomes for individuals and communities must be demonstrated and reported, and broader societal impact must be framed and defined – without missing the bigger picture. Government and other emerging frameworks can be applied, and evolved to encompass both the direct social needs being addressed, and the contribution of arts to a society that is self-aware, progressive and connected. Melbourne-based integrated social impact, communications and design agency, Ellis Jones, is developing a social impact framing, measurement and communications approach, specifically for the arts sector. If you have an insight or opinion to add to our thinking, we’d love to hear it. Contact Ellis Jones. 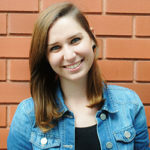 About the author: Elise Harper is a senior consultant in social impact at Ellis Jones, an integrated research, strategy, communications and design agency based in Melbourne. Having worked within and consulted to the private and social sectors in Australia, the UK, the USA and India, Harper specialises in using social research, community engagement and communications strategy to improve services, increase access and generate measurable social impact. Her work focuses on Ellis Jones’s core sectors: health and ageing, energy and environment, property and infrastructure, arts, commercial and government.